This weekend, Pope Francis will visit Ireland for the first time for the World Meeting of Families event. This visit comes almost forty years after Pope John Paul II came to Ireland in 1979. Our client companies Glasscare and Mr. Windscreen have both been busy recently contributing to preparations for the visit. 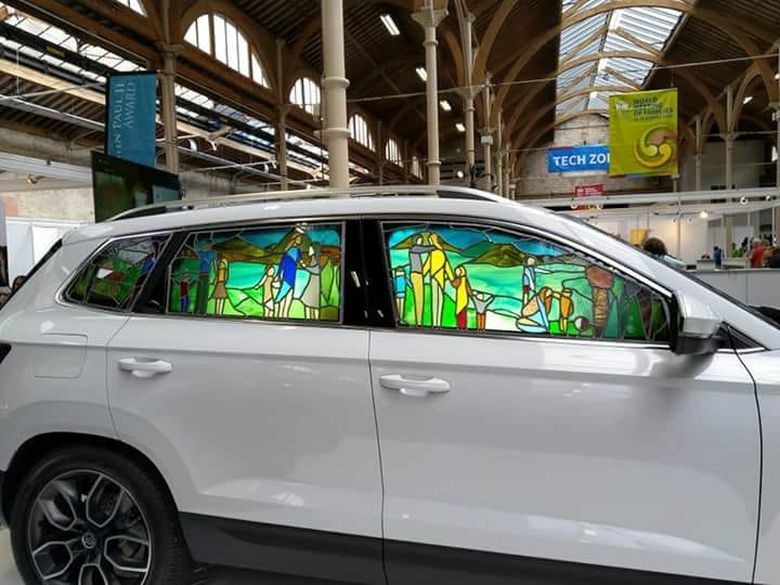 Glasscare supplier, Connon Stained Glass, was commissioned to manufacture and fit stained glass scenes depicting Irish families into a Skoda Karoq in preparation for the Pope’s visit to Ireland. 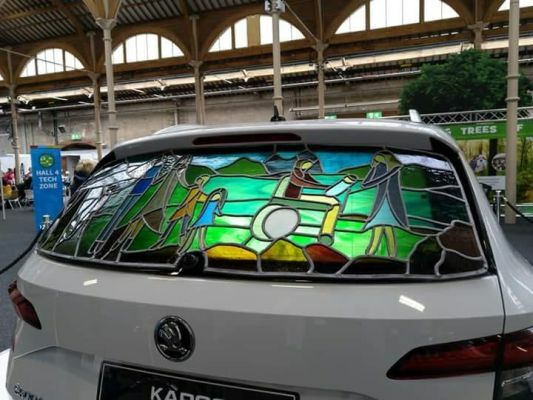 This installation, which features over 47 different colours of stained-glass, took over 200 hours to complete. This was a very technical and unique request. We think you’ll agree that the finished product is testament to the skill and experience of the workmen involved. 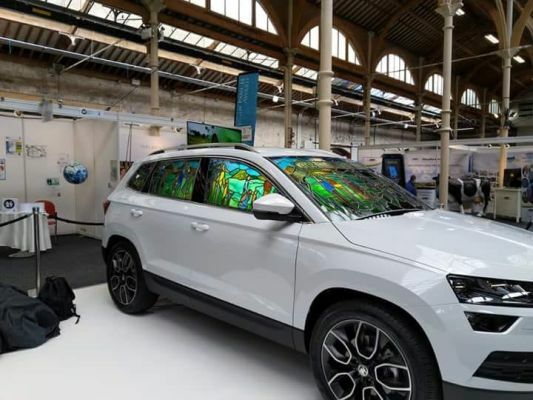 Separately, Glasscare’s sister company, Mr Windscreen were engaged to remove the green tinted glass from a number of Skoda vehicles and replace them with clear glass. It is believed this may be to help with photography at the event. Managing Director Gerard Fitzgibbon is delighted to have been associated with the projects and said “it was a great honour to be asked and it is nice to know that the skill level required to carry out this type of task, is the same level that we use to repair our churches”. This entry was posted in The News! and tagged Glasscare, Mr Windscreen, Portlaoise Enterprise Centre.